Most dogs eat fast and rapid eating can lead to a variety of health issues for dogs, that’s why you need a slow feed dog bowl. It slows down feeding, helping promote healthy eating habit to prevent bloat, regurgitation and canine obesity. Great for anyone who has a fast eating dog. It’s time to keep your pup healthy and happy. Want to keep your fasting eating pet in better control? 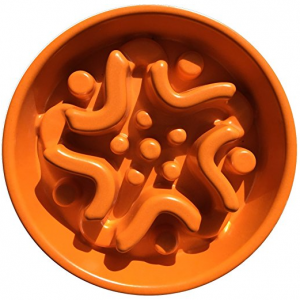 The Slow Feed Dog Bowl by My Lucky Pets is the solution. This slow feed bowl drastically increase the time it takes your pet to eat in a safe and fun way. 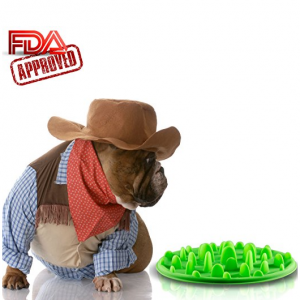 It is made of human food grade silicone that is safe for your pet. A great way to help limit regurgitation, obesity, and overeating, keeping your pet healthy and happy. Dishwasher safe so cleanup is a breeze. Finally, an excellent bowl that will allow you furry friend to eat a healthier, and more balanced meal. The Outward Hound Fun Feeder features meal-lengthening ridges and valleys that make mealtime last up to 10x longer, promoting fun and healthy eating. It has a slip-resistant base to prevent sliding and food spillage. Made with high-quality, food-safe ABS plastic, the bowl is BPA, PVC and Phthalate Free. Can hold up to 4 cups of dry dog food. Top rack dishwasher safe. 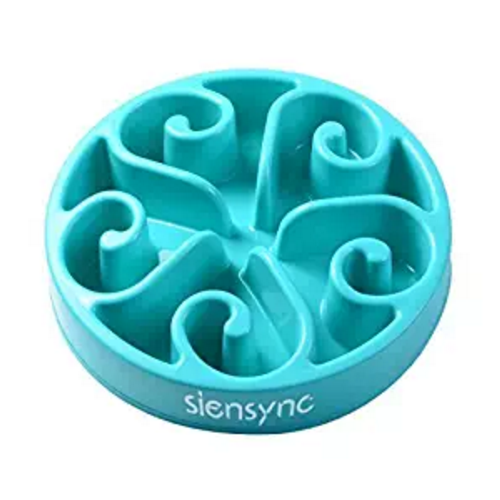 Make every meal time fun and challenging with the Siensync Slow Feeder Bowl. This dog bowl is designed to slow down feeding while stopping feed times becoming boring. Made with food-safe, high-strength ABS materials, the bowl is BPA, PVC, and Phthalate free. Easy to use and clean. Top rack dishwasher safe. Perfect for restoring your dogs natural eating habits so that meal times become fun, healthy. 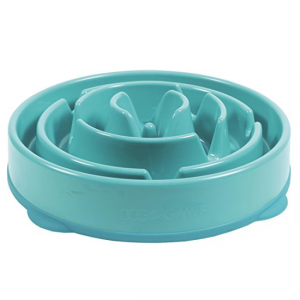 Encourage your pet to eat or drink at a slower pace with the Dogit Go Slow Anti-Gulping Dog Bowl. The specially designed dog bowl helps reduce excess air intake, improving digestion and reducing the risk of bloat. 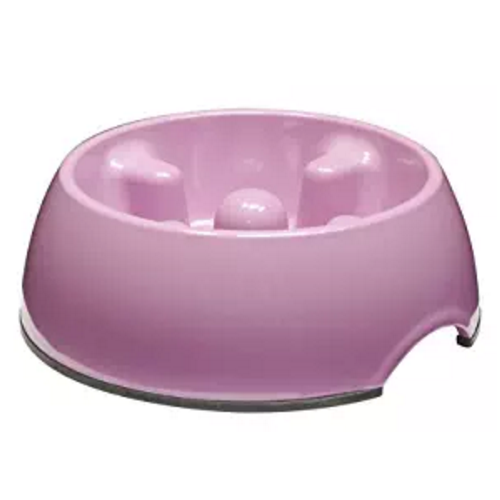 The bowl is great for use as a water or food dish, and is suitable for wet or dry food. Holds 20.2 fluid ounces. Dishwasher safe for easy cleaning. Great solution for dogs who eat and drink quickly. Your pet eat far too quickly? No worries. The Simply Pets Slow Feed Dog Bowl will help to restore your dogs natural eating habits. 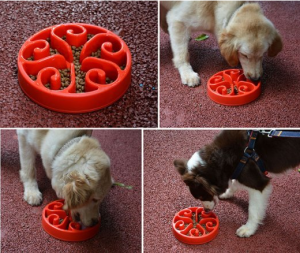 This dog bowl features unique design that makes any amount of food go further and so your dog feels full on a smaller amount of food. Made from totally natural food and pet safe materials bamboo fiber and rice husk. 100% recyclable. Dishwasher safe. Perfect for medium to large dog breeds.